Fossil plants are windows to the past, providing us with clues as to what our planet looked like millions of years ago. Not only do fossils tell us which species were present before human-recorded history, but they can provide information about the climate and how and when lineages may have dispersed around the world. Identifying fossil plants can be tricky, however, when plant organs fail to be preserved or when only a few sparse parts can be found. 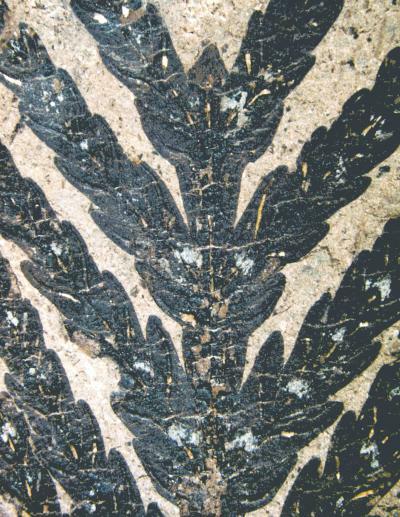 In the November issue of the American Journal of Botany (http://www.amjbot.org/cgi/content/full/96/11/2031), Peter Wilf (of Pennsylvania State University) and his U.S. and Argentine colleagues published their recent discovery of abundant fossilized specimens of a conifer previously known as "Libocedrus" prechilensis found in Argentinean Patagonia. This plant was first described in 1938 based on one fossil vegetative branch whose characteristics were said to most closely match those of a living South American dry, cold-climate conifer found in the study area: Austrocedrus (Libocedrus) chilensis, the Cordilleran Cypress. However, numerous characteristics of the leaves, including their distinctive shape and stomatal arrangements, as well as seed cone details of the newly discovered specimens entirely match those of extant Papuacedrus, a closely related genus, currently found only in tropical, montane New Guinea and the Moluccas. Based on the newly discovered fossil specimens from 52 and 47 million years ago, Wilf and colleagues reassigned the fossil species to Papuacedrus, under the new name combination Papuacedrus prechilensis. One of the major implications of this reassignment is that, because Papuacedrus is known from tropical montane habitats and is physiologically limited to extremely wet climates, it adds to the emerging evidence that Patagonia in the Eocene was a warm, wet tropical place and not a cold, dry steppe as much of it is today. It also adds a tropical West Pacific connection for Papuacedrus, further establishing the interchange of flora with Australia and neighboring areas via a warm and forested Antarctic land connection during the Eocene. Indeed, less complete Papuacedrus fossils have previously been found in Australia and Antarctica. "This is a wonderful example of how securely identifying well-preserved and well-dated fossils can have many impacts," Wilf noted. "These fossils contribute critical information about conifer evolution as well as the biogeographic history of the Southern Hemisphere. Combined with the robust site geology we have generated, they also contribute to an important environmental reinterpretation of a large area in the past. Papuacedrus physiologically requires lots of moisture and cannot withstand prolonged droughts." Another important consequence of this find is how it relates to the great diversity of other fossil plant as well as insect species known from the Patagonian fossil sites. The lush, possibly montane, rainforest environment indicated by Papuacedrus helps to explain this stunning richness from the Eocene. "The revision [of this species] not only forces a major shift in biogeographic affinity (Patagonia to New Guinea), but also provides a decisive boost to important hypotheses of rainforest climates during the Eocene in Patagonia that had not been fully substantiated in previous work," Wilf said. "This in turn helps to explain the remarkable plant and insect diversity found in Eocene Patagonia."